A Fresh Start is Possible. You Only Need to Know How. Discover the 5 Essential Principles you need to get back on track, move forward, and live your dream. Be ONE in a Million. Begin your fresh start journey now. 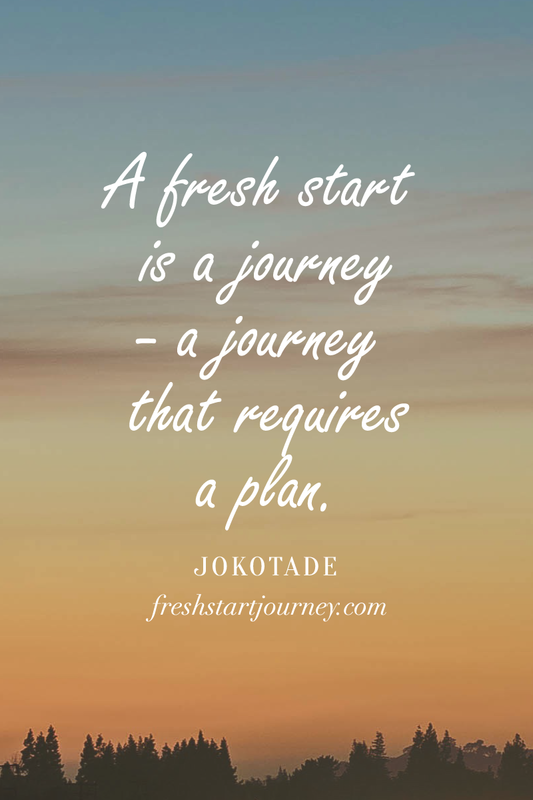 In Fresh Start, Nigerian-American author and speaker, Jokotade, teaches that a fresh start is more than a sudden occurrence, and more than a wish. A fresh start is a process. A fresh start is a journey - a journey that requires a plan. "A fresh start is a journey - a journey that requires a plan." 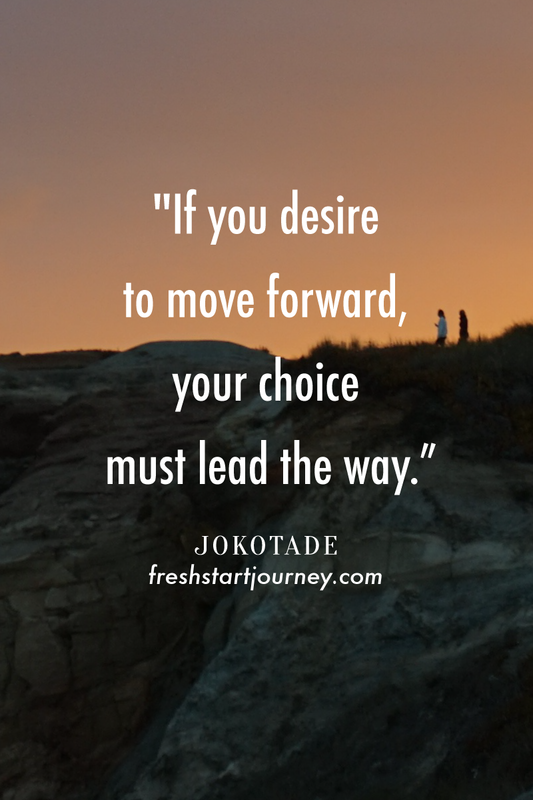 Through stories from her life and the experiences of others, Jokotade provides you a compelling, easy to follow guide with steps to consider on your journey beginning right where you are. Discover the 5 Essential principles to get back on track and move forward. You'll be inspired to dream and reach for the life you were born to live. The reality is none of us got to choose how we were born or even the names we were given at birth, but we can choose how we end. You no longer have to guess, wish and hope with no success. You can make a fresh start. You only need to know how. Order your copy to get started now. Jokotade is a Nigerian-American author, speaker and thought leader on topics relating to women, business and leadership. She engages diverse audiences by sharing personal stories and insight with much passion, relevance and heart. Her audio and video programs equip listeners and viewers in over 100 countries. Get to know her when you visit her home online at Jokotade.com. What Prompts a Fresh Start? If you have ever lost anything or anyone valuable, you understand the deep feeling of loss that can result. Perhaps you’ve lost your job, your home, your business, a loved one, a spouse, a dear friend, a child, or even a pregnancy. A sense of loss may trigger your desire for a fresh start. If you are struggling to live within your means, if you have limited financial resources to support your everyday needs and obligations, if your life is lacking in love and support, a sense of lack may prompt a desire for a fresh start. If you feel you’ve failed yourself or the ones you love, if you’ve missed important life events, if you’ve had to face a divorce or separate from a loved one, if you are struggling at school or failing at work, if your bad habits have gotten in the way of your success, then a sense of failure may prompt your desire for a fresh start. Find more inspiring quotes from the fresh START book. 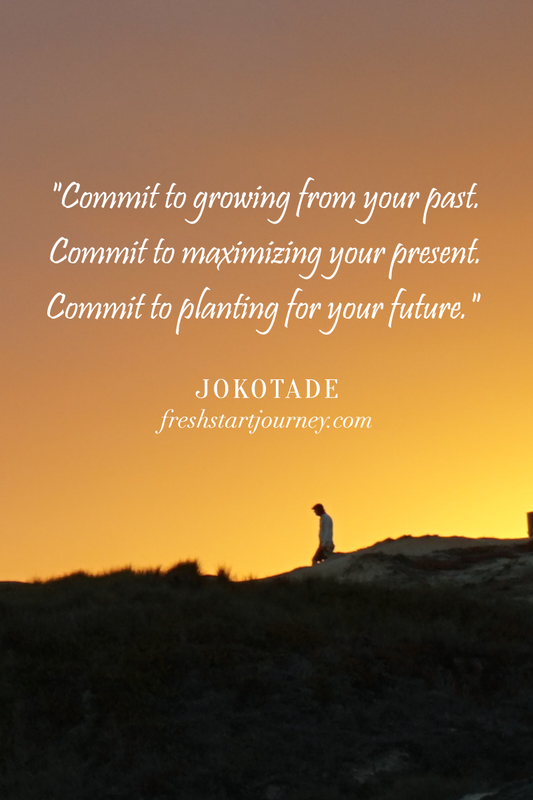 Fresh Start LIVE is a beautiful evening of inspiration with author and speaker, Jokotade. During this event, Jokotade shares her story, speaks from the book and answers questions. Your audience will be inspired to dream and reach for the lives they were born to live. Bring Fresh Start LIVE to your city or group. Contact The Jokotade Organization for more details.